Love it or hate it, shopping is a process that takes time. Maybe you do have efficient shopping to a tee and you know the aisles and shelves of your favorite shop like the back of your hand, but your quest to get in and out as fast as you can leaves you buying the same safe pieces over and over again. Traditional personal styling services solve these time and style problems, but can be expensive and still require your physical presence in a store. Stitch Fix is an online styling service that was founded in 2011 and has mastered the business of mass customization through the combination of data and 3,500 full- and part-time stylists. In the 2017 fiscal year, Stitch Fix brought in $977 million in sales. It also recently launched a separate styling service for men, which another Insider Picks team member reviewed and enjoyed. Since the majority of its customers are female, we were curious to see how well Stitch Fix’s core business stacked up, especially after hearing so many rave reviews from peers and friends. 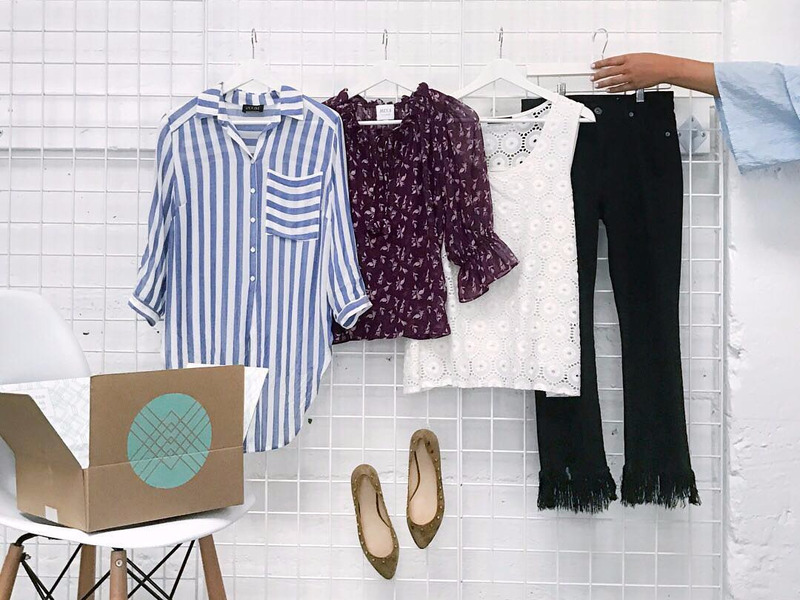 At a glance, this is how Stitch Fix works: After you fill out a Style Profile, a personal stylist will hand pick five pieces of clothing, shoes, and accessories and mail them right to your door. You try them in the comfort of your home, send back the pieces you don’t want, and pay for the ones you keep. It’s convenient, personalized, and let’s you try clothes you maybe wouldn’t have chosen for yourself. If it sounds like it’s too good to be true, read on to get a more in-depth perspective into Stitch Fix and why I wholeheartedly recommend the service after just a couple months of trying it. First, you’ll create a Style Profile by answering questions about your clothing and shoe sizes, desired fit/cut, style, price range, and more. The questionnaire delves deep into every aspect of your body and style, such as your body shape and what parts of your body you like to flaunt. The example above tries to get a sense of your style by asking which outfits you like. It takes into account your overall budget as well as the different price points you may prefer for different categories of clothing. Whether you choose “The cheaper, the better” for every single option or “$200+,” you are in total control. This ensures you won’t be surprised by the price tag when you receive your pieces. You’ll also avoid that crushing feeling when you fall in love with a piece, but it turns out to be way out of your budget. The last part of the Style Profile is your chance to get even more personal. This part reminded me there’s a real human being on the other side. There’s an optional feature to share your public social media handles like Instagram or Pinterest so your stylist can get to know your personality and style even more. You can also add any final thoughts that the questionnaire may have missed. For example, I mentioned how our office is very cold, so I’d appreciate any business casual look that strikes the balance between the hot, humid weather outside, and the freezing interior of the office. You can customize how often you receive your Fix, from a range of every two to three weeks, to every three months. You can also manually edit the frequency at another time if you’d like to receive your Fix sooner or later. …But hesitation aside, you can’t beat the excitement of receiving your first Fix and wondering what’s inside. In addition to your five pieces, each Fix comes with a card from your stylist. This card contains a personal note from your stylist about the pieces they picked for you and two outfit suggestions for each piece. In the note from my first Fix, I loved how my stylist specifically referenced one of my drawings from my Instagram. It was a small gesture, but showed the effort on Stitch Fix’s end to get to know its customers. It looks like my stylist put some real thought into the pieces chosen, but how do they look and fit? I was impressed on both fronts. The pants, dresses, tops, and outerwear I received all fit my body well. Pants especially are tricky for me since I have short legs and I typically need to grab a couple sizes before hitting the right one, but both pairs of pants I’ve received so far have fit like a dream. I usually can’t achieve such a success rate even when shopping for myself in a real store. My friend who also tried the service is 5 feet tall. She has had trouble in the past finding a romper for her size, and was also pleasantly surprised by the fit. In terms of style, there were some hits and misses, which I expected. I could tell right away if I didn’t like a piece, but more importantly, I received pieces that I really liked and made great additions to my closet. There was a variety of brands represented, some I recognized, like Warp + Weft and Jenny Bird, and some I didn’t, like Olive & Oak. Beyond new items of clothing, Stitch Fix has also allowed me to discover new brands. Once you’ve received your Fix, you have three days to send your feedback online, check out, and return any unwanted items in the prepaid return envelope. The $20 styling fee is waived if you purchase any item. In addition, you get a 25% discount if you buy all five pieces in your Fix. Another way to save is to send a referral link to your friends. You’ll earn a $25 credit. Make sure to let your stylist know how you liked your items, especially after your first Fix. This will help them adjust accordingly for your next shipment and continually improve on how they style you. You can also choose whether to keep your current stylist, try a new one, or let Stitch Fix choose for you. For example, in my first Fix, I received a wrap dress. I was in love with every aspect of the dress — fit, cut, material — except the print. I mentioned this in my feedback and received this black wrap dress in my next Fix. Don’t worry if you don’t hit the jackpot with every single piece in your Fix. The important thing to remember is to give feedback so there’s a chance that your next box will be a hit. I finally understood the hype around Stitch Fix and why people love it so much. It not only makes getting new clothes way more convenient, but it also makes it stylish, personalized, and exciting. You can expect quality materials, thoughtful selections, and the thrill of opening your Fix every single time.